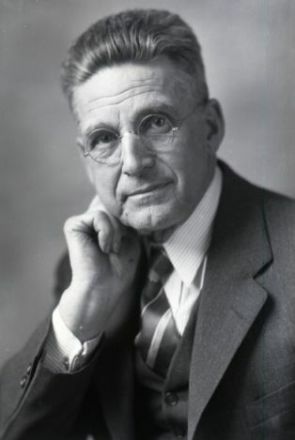 Image scanned from black and white negative labeled "Aroostook County." 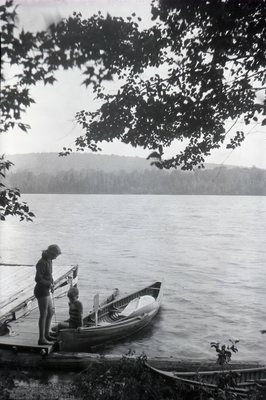 A woman and a boy are near a canoe, which is moored to a wooden raft. A vast lake stretches beyond the pair, and there is a deep wood on the far, misty shore. The woman stands on the raft, holding a fishing rod, while the boy sits half in the canoe.